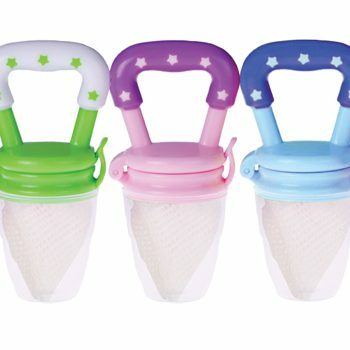 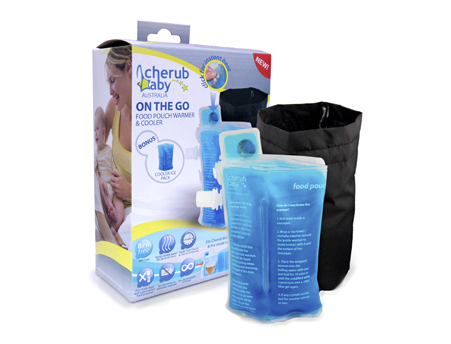 Screw on to any major brand food pouch and feed baby instantly on the spot. 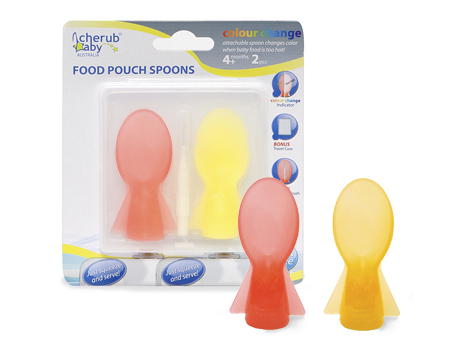 The spoon changes colour if the food is too hot. 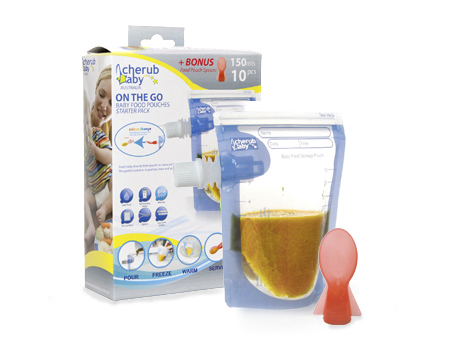 Click the metal disc and the gel heats up to warm baby's food - Bonus cooler ice pack keeps baby food pouch cool. 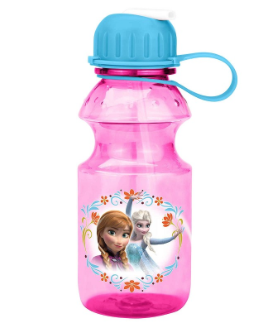 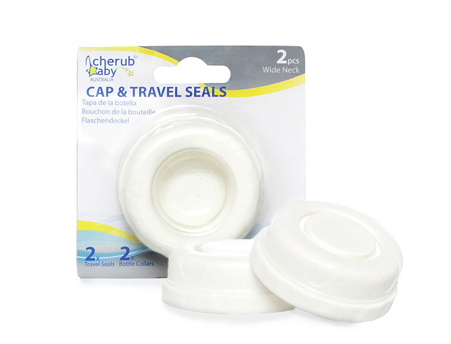 Standard Neck bottle caps and travel seals are designed for use with our Cherub Baby's range of standard neck bottles.